Steri-Tek, Fremont Ca location: 48225 Lakeview Blvd. Fremont, Ca 94538. Installation Completed in 2016. 400 kw size. Solar panel roofing installed in Fremont located in Alameda County & Silicon Valley. 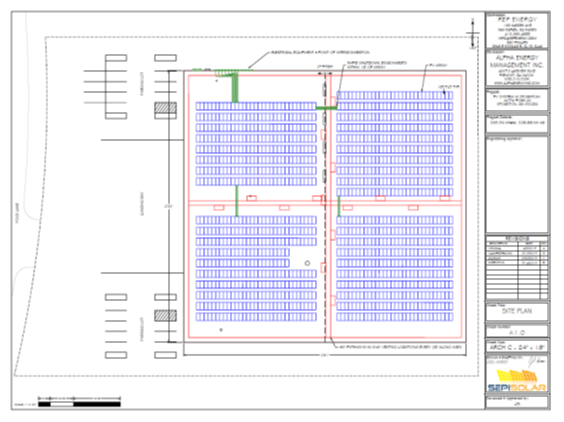 Completed in 2017, 400 W roof-top PV system eliminates over 120 metric tons of CO2 annually and provides 710,000 kWh A/C annually of clean solar energy Project only required 52,000 square feet of rooftop space. SJ SeafooDS , Los Angeles , Warehouse Location: 6116 Walker Ave, Maywood, CA 90270. 362.7 kw Size. S&J Distributors headquarters, Milpitas , Ca Location: 625 Vista Way, Milpitas, Ca 95035. INstallation Completed in 2016. 409.9 kw size. Solar PV system eliminates over 110 metric tons of CO2 annually and provides over 631,000 kWh A/C annually of clean solar energy Project only required 46,000 square feet of rooftop space with an annual anticipated utility savings of over $181,846 per year and over $6,182,579 total Utility Savings over 25 years. S & J Distributors, Stockton, Ca Location: INstallation Completed in 2017. 353.4 kw size. 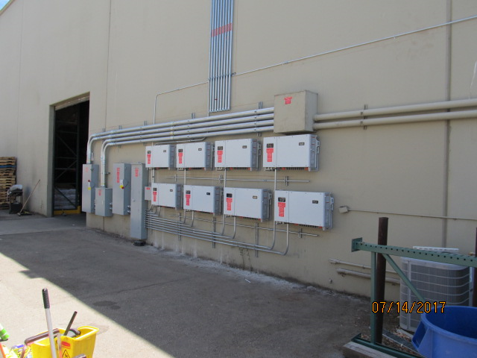 S & J Distributors,Portland, Or location: Installation Completed in 2018. 65.3 Kw Size . 7098 N. Marine Drive, Portland Or. 97203. S & J Distributors, Richmond, Ca Location: INstallation in Progress, 2019 Completion. 518.19 KW Size. Adem LLC , Santa Clara Ca Location. 280 kw size. A combination roof and shade structure-mounted solar PV project Incorporated mounted modules across various section of the temples commercial flat roof system as well as four freestanding shade structures in the south end of the parking lot Provided just under ½ Megawatt of energy to supply the ever-expanding complex. hillview Glen Apartments project, Eden Properties , California Completed in 2011, 350 Kw Size. A carport mounted Solar PV project installed for Eden Properties as part of the California Solar Initiative’s MASH program Incorporated mounting solar modules across three separate electrical systems to offset apartment complex’s electrical meters Completed in 2011 , 350 kw ,in approximately 4 weeks.